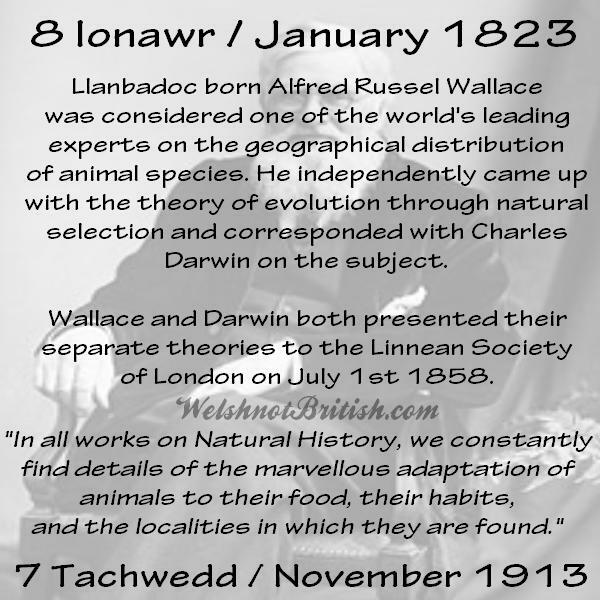 1823 - Alfred Russel Wallace (see featured post). 1879 - Eleanor Vachell, botanist born in Cardiff. Wiki (German).